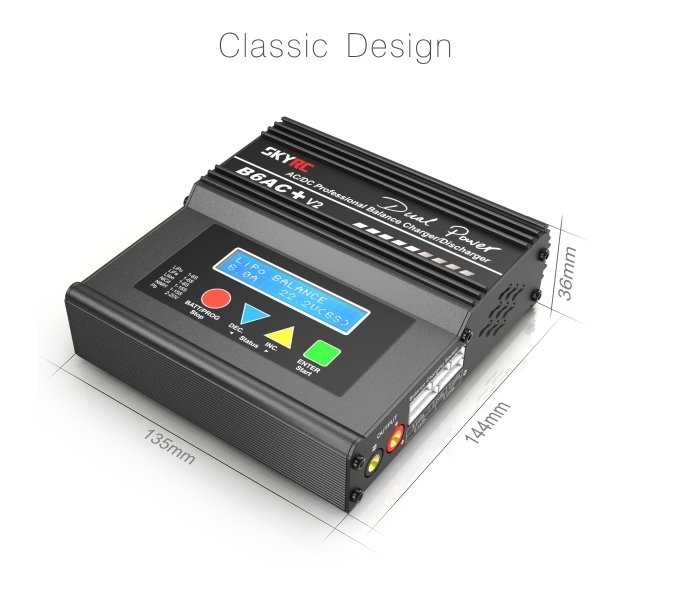 SKYRC B6AC+ V2 is the upgraded version for well-known IMAX B6AC+ V1. Compared with B6AC+ V1, it is more accurate and stable and also has some new features and functions. Users could set the terminal voltage by themselves and connect it to PC for PC control and firmware upgrade. 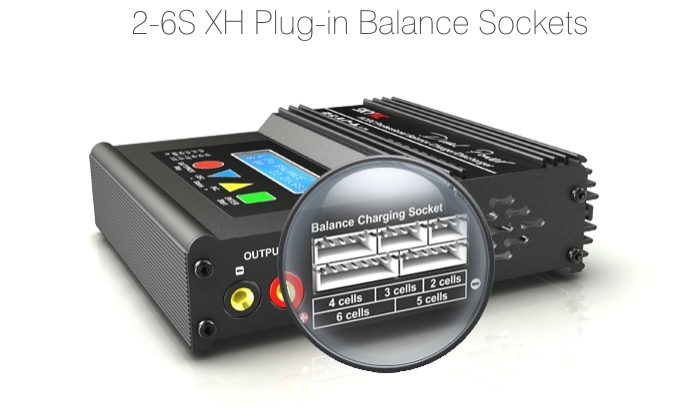 What's more, users could also use it as Lithium Battery Meter and Battery Internal Resistance Meter. 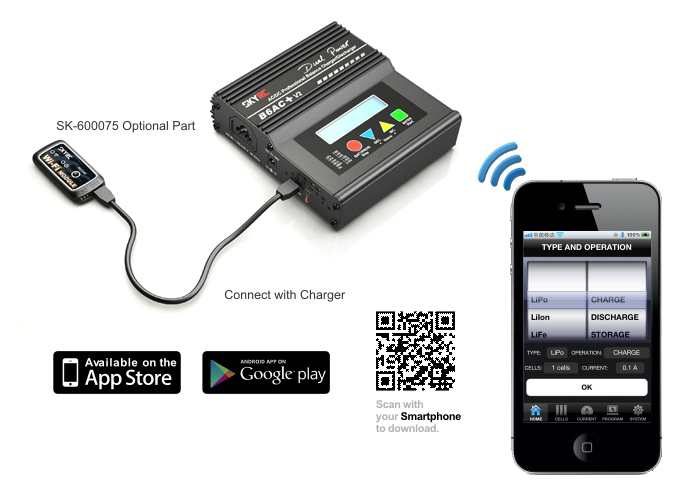 There are Automatic Charging Current Limit, Capacity Limit, Temperature Threshold and Processing Time Limit which makes the charger safer than V1. 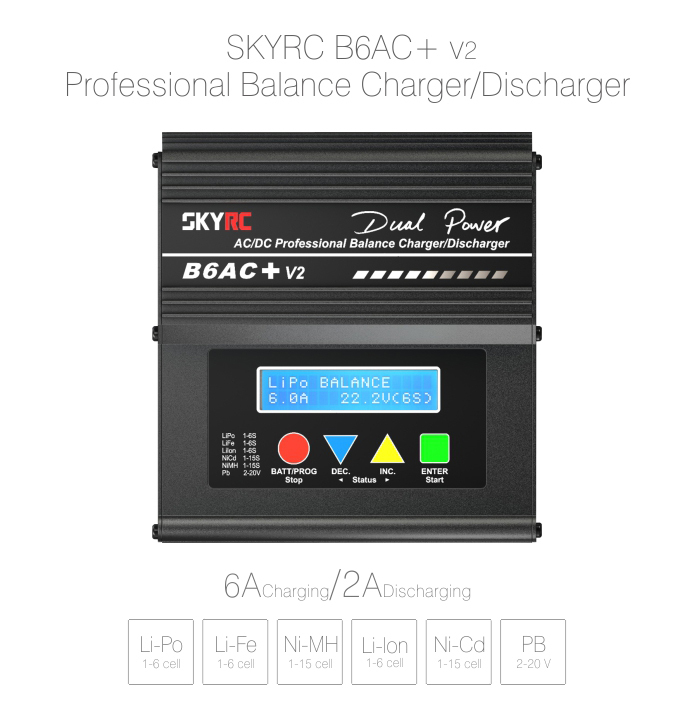 SKYRC B6AC+ V2 is a high-performance, micro processor control charge/discharge station with battery management suitable for use with all current battery types, with integral equalizer for six-cell Lithium- Polymer (LiPo), Lithium iron phosphate(LiFe) and Lithium-Ion (LiIon) batteries; maximum 6A charge current and maximum 50W charge power.